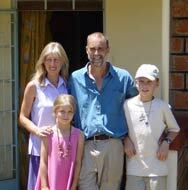 In July 2002 the Mott family (husband and wife Terry and Judi and their children Tom and Ellie) left their home in Redditch, England to spend a year living in a poor rural community in the west of Kenya. They had no way of knowing of what would come of it. 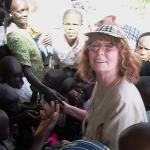 Hope and Kindness was born out of Terry and Judi's desire to work with orphans and widows in Africa and a unique opportunity that they were given to pursue this dream. In the year 2000 Terry and Judi were going through a very bad time as a couple. Despite coping with Terry having cancer in 1986, and the subsequent heartbreak of thinking that they wouldn't be able to have children - only to experience the joy of first Tom and then Ellie being born - Terry and Judi's marriage was now on the rocks. In February 2000 they were on the threshold of becoming another divorce statistic. One cold, February afternoon, after a very emotional walk on the Malvern Hills Judi had come to the decision that she couldn't stay in the marriage and had steeled herself for the tough time ahead of her as a single mother without Terry. Unknown to both Terry and Judi that same afternoon a bigger plot was unfolding. God was about to stage a dramatic rescue mission that would have repercussions in Kenya, four thousand miles away from the Mott family home in Redditch. At that time both Terry and Judi had little time in their lives for anything except their work and their children. They were both pursuing teaching as a career and doing their best to keep up a family and mortgage - 'doing' married life and trying hard to provide Tom and Ellie with a happy home. When Terry and Judi's drift away from the dreams of their wedding day first started is anybody's guess. By 2000 Terry had 'successfully' adopted functional alcoholism as a coping mechanism. The same plot continues to weave its way through countless marriages all over the world. 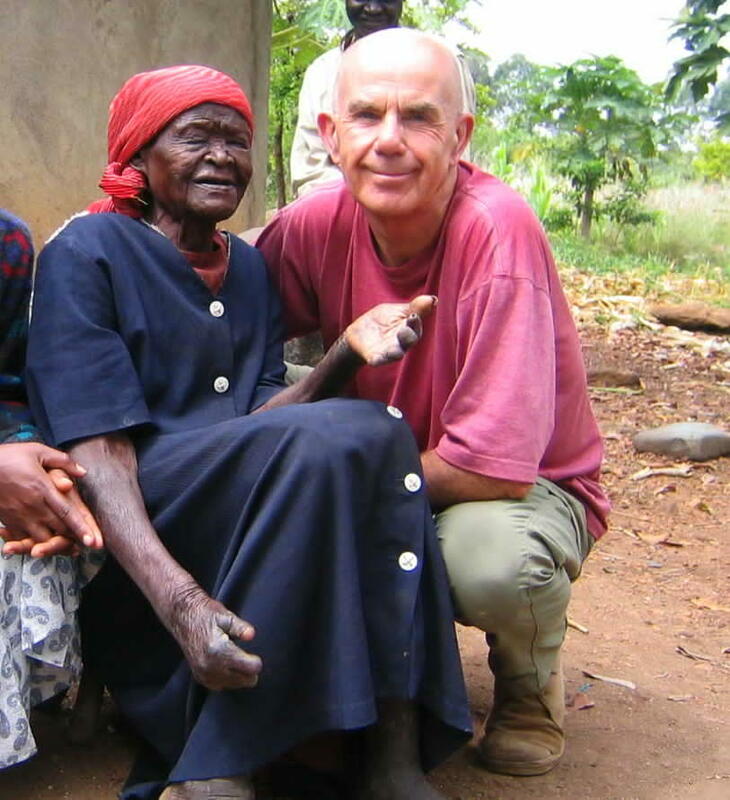 Fortunately for Terry and Judi the faithful prayers and actions of Terry's bother Steve and his wife Liz brought them a reprieve, gave them a reason to carry on loving each other and an opportunity to serve God by loving orphaned children in Kenya. While Judi walked on the Malvern Hills, Terry's brother was driving to Redditch with a message of hope. Much to Terry and Judi's surprise, he arrived shortly after Judi returned from Malvern. Once Tom and Ellie were in bed Steve began to tell Judi and Terry about the great love that God had for them and how much God wanted to save them from themselves. That Steve should choose to share such a message didn't really surprise Terry or Judi. Steve had fairly recently become a minister in a Baptist church in the South East of England, following (to Terry and Judi's way of thinking), a sudden and foolish decision to train for the ministry in Belfast. Under normal circumstances the conversation that evening would have been robust. Terry would have got on with the more serious business of getting moderately drunk and he and Steve would have agreed to differ on the 'church' issue. Except this time that didn't happen. If there were prizes for slating religion, God and Christians in particular, Terry and Judi would already have won quite a collection of them at this point in their lives. For a variety of reasons they had both come to the conclusion that when you die you get eaten by the worms and that God, if he existed at all, was a waste of space - unlikely candidates for any kind of 'religious conversion'. Fortunately for them God is not happy to let even his most die-hard critics go. The evening went in a completely different direction to normal and in the small hours of Saturday morning both Judi and Terry made a commitment to God that surprised both of them. Terry remembers it feeling like preparing to jump off a cliff, with no going back, but deciding to do it anyway. Once you are given a second chance it is impossible not to want to do the best you can with it. Between February 2000 and July 2002 Terry and Judi got to know a lady called Pat Botwright. Pat was a fairly regular visitor to Redditch. She had started an orphanage in Kisumu, the third largest city in Kenya, and visited churches in the UK on fund-raising trips for her work. 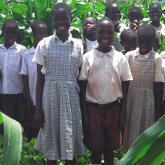 Terry and Judi agreed to sponsor Collins one of the orphans in Pat's home and the seeds of Hope and Kindness were sown. Judi wondered if it would be possible to visit and work at Pat's orphanage in Kisumu for six weeks during the UK school summer holiday. Six weeks seemed, on reflection, too short a time given the amount of money it would cost to take the Mott family to Kenya, so a longer visit was planned. A whole year seemed a much better option. A series of 'fortunate events' conspired to make it possible for Terry, Judi, Tom and Ellie to set off for Kisumu in July 2002. By this time Pat had been given an opportunity to rent a small compound of houses in Kosele, a small rural community about two hours away from Kisumu and not far from Lake Victoria. She immediately saw an opportunity for Terry and Judi to pioneer a new, smaller children's home which would provide an overflow facility for the youngest children in the home in Kisumu. After a whirl of fund raising activity, Terry being given a sabbatical year to go to Kenya and Judi quitting her job completely, the Mott family was good to go. With some trepidation, a good number of tears and much prayer they finally made it to Kosele in August 2002. Hope and Kindness was born then. In July 2003 Terry, Judi, Tom and Ellie returned to Redditch and to their more 'normal' lives. Terry and Judi returned to teaching and were, just about, able to combine visits to Kosele in the Easter and/or summer holidays and their 'day jobs'. 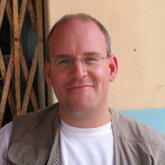 This pattern of working in England and Kenya continued until August 2011 when Terry gave up his job to devote himself to Hope and Kindness full time. Judi has since joined him, giving up her job in July 2013 after a year long battle with breast cancer, (from which she has, thank God, made a full recovery). It has seemed like a long time but Terry and Judi are, once again, united on the mission field in Kenya, supporting Tom and Ellie at a distance as they pursue their own dreams in Higher Education and beyond. Tom will finish his music degree at Goldsmiths University in London in June 2014 and Ellie is studying to be a doctor at Durham University. Eleven and a half years later the work continues to grow as we add children to the primary school and secondary school that have been built. Our farm makes it possible for us to grow at least some of the food that we need to make it possible to give all of the children a free breakfast and lunch. The Sunday School that we started for the first group of children who lived with us is now a thriving church, led by two Kenyan pastors (Dorine and Kennedy). We are also able to give food assistance, support for medical care and other practical help to the very neediest members of the local community. We would be unable to support the work that we do without the 35 members of staff that we employ, making us one of the largest local employers. Our story is not unlike that of many other couples who have had a life saving encounter with God and have consequently felt called to a very different way of living. It hasn't always been easy. Kosele is a very challenging place to work in. We are fortunate in having the support of family and good friends who encourage us and a good number of very loyal sponsors and donors who make it possible for us to meet our (steadily increasing) financial commitments. We hope that you will want to explore our website further and find out more about the work that we are doing in Kenya, the people we work with and about the very special people who make it all possible. A bit like the Hollywood Oscars our thank you list is huge. Without the help and encouragement of a very large number of people we would not be where we are today. So, in 'thank you speech' style we would like to acknowledge and applaud the people who helped to make it all possible and, as a by product, tell you how we got from 'back in the day' to now. The first thank you's really have to go to Tom and Ellie, Terry and Judi's children. Expecting an 11 year old and an 8 year old to up sticks and relocate in a foreign country 4,200 miles from home for a year is a big ask - especially if they are being asked to live in the middle of nowhere, with no electricity and no toilets or running water. 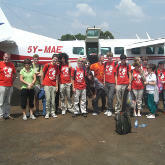 To their credit they were great and continue to pay visits to Kenya to support the children and their Mum and Dad. In the preparation time before leaving, Terry and Judi received massive encouragement from their friends at Astwood Bank Christian Fellowship, their colleagues at work, friends and family. Thanks to David Williams for agreeing to let Terry take a year's sabbatical leave from Stratford High School. 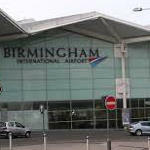 This was a particularly challenging time for Terry and Judi's parents but they stood beside them as they prepared to leave from Birmingham Airport. As the reality of life in Kenya began to sink in it became clear to Judi and Terry that they were at the start of something that would occupy the rest of their lives. 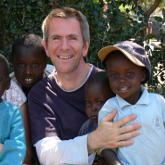 They had plenty of visitors to Kenya; Jim Hidderley, their pastor brought out the first team. Friends John and Fiona Sweetman, Terry's dad Brian and Judi's mum and dad all came at just the right time to keep spirits up and the work going on. After returning to England in July 2003 it was obvious that more funds and people would be needed in both Kenya and England to keep the fledgling Hope and Kindness going. Even at this early stage Terry and Judi wanted to set up a project that would, ultimately, be fully managed by Kenyan staff in Kosele. 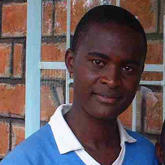 Our thanks to Moses, our first manager in Kenya for his dedication (pictured on the right). 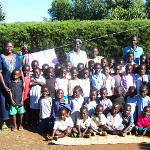 At this point the school had started to grow, as new 'day scholars' were added to the number from the local community. The classrooms were becoming increasingly crowded (they were just rooms in a small house!) More resources were required. More faith was needed. Fortunately a series of 'helps' were on the way. Being very literally 'off the grid' made it difficult to run any electrical equipment or lighting. Clive, a good friend from church in Redditch, brought both spiritual and physical light to Kosele. He gave us the money to set up our first solar panels and power system. We have, since then, been able to increase our solar capacity and now run classrooms, our offices and visitors centre entirely on solar power. In August 2006 we desperately needed more land in order to build proper classrooms. Two years earlier, Annie Austin , from Bewdley, had been on a Kenyan safari and seen for herself the awful poverty of orphans in Mombasa. She returned to England determined to help. In just two years she raised £2000. 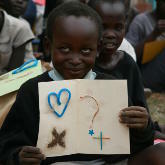 She asked her pastor if he knew of any charity working with orphans in Kenya and he connected her to us. The £2000 exactly matched the price of the field we were hoping to buy! The classroom situation became more desperate and we wondered how we would ever be able to build proper facilities for our growing Primary School. Enter another new friend Bernadette Munnelly, who worked tirelessly to make it possible. 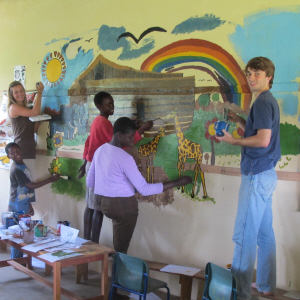 Her gift for fund raising, persistence and genius at match funding through her employer NPower, together with generous gifts from OCC church in Redditch, England, brought us our first purpose built classrooms in 2008. Annie came to our rescue again in 2009. With so many children coming to school we were finding it impossible to obtain enough safe drinking water. Annie's fund raising, with the help of her friend Geoff Mead, raised the £13,000 we needed to drill our own borehole. Our water supply has remained secure ever since. Without it we would not be able to work as we do. Our friends John and Vanessa Appleton and John and Fiona May have helped us in so many ways. We cannot thank them enough. 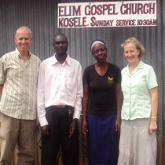 John and Vanessa served as trustees and introduced us to many new friends who came to visit Kosele with them. John and Fiona May are at the heart of a fantastic team of H&Kers in Welford-on-Avon, England and continue to provide a fantastic level of support. Ian and Hilda McMillan from Paisley, Scotland, have been an essential part of Hope and Kindness since 2008. 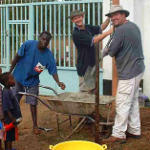 They have a real heart for the children and community in Kosele and have been very generous with their time and money. They have made 4 long (8 months) stays in Kosele and made it possible for us to build our second set of primary school classrooms. We cannot thank them enough. Cisco is most famous as a global ICT company. Cisco UK staff are a real 110% group of people and Hope and Kindness has been wonderfully blessed by the visits that Cisco teams have made. Their kindness, generosity and 'can do' attitude helped us to provide laptops for the children, a greenhouse for our farm, a goat enclosure and houses for community members. We can't wait to see them again. Young people have the capacity to make a huge difference in the world. 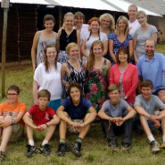 A large youth group came to visit us in 2010, led by John and Vanessa Appleton and Edward Ibberson, the pastor of Chipping Camden Baptist church. They were an inspiration - fantastically well prepared for their visit and legendarily enthusiastic and committed. As a testimony to the positive power of youth they don't come any finer. The next big team we hosted came from Welford-on-Avon, England in the summer of 2013. Led by Jon and Fiona May these folks, most of whom are sponsors of Hope and Kindness, gave their hearts to the work and made a real connection with everyone at Hope and Kindness. It is humbling to know that so many people are prepared to give up their holiday time and money to bring joy and love to our children in Kenya. Thank you all. The landmarks described above are only a small part of the bigger story of Hope and Kindness. We have been blessed by faithful sponsors and generous donors. Our mission to provide a first class education for our youngsters and prepare them to fulfil God's purpose in their lives is able to continue thanks to the hundreds of people who have got behind us and come to visit us. It will be a long journey still - but together we'll make it. Before concluding we have a last group of thank you's to make. So thank you to: Tony and Jean for your unflagging commitment to Hope and Kindness and for the many extra miles you have gone for us, Jeremy and Leigh for your prayers, generosity and friendship, our brothers and sisters at OCC, Redditch for your support and generosity, Val and Liz for your constant love and encouragement and to Diane for always faithfully believing that God really is with us. Our final thank you goes to a man who has modelled Christian integrity to many people for many years. A true and loyal friend who has served us with all his heart, always been an encourager and a spiritual anchor. Pastor Robin Baker is one of the founding trustees of Hope and Kindness. He loves and trusts in Jesus and encourages all of us to do the same. This year, (2014), Terry and Judi are back in Kenya, having given up their jobs in England to work as full time volunteers for Hope and Kindness. By the end of the year Ian and Hilda will have spent half of 2014 in Kenya. 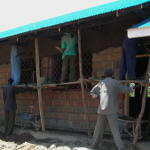 Return visitors to Kosele will notice new classrooms have been built and that our farm has continued to expand. Please browse around the website to find out more about our hopes and dreams - and how you can get involved. 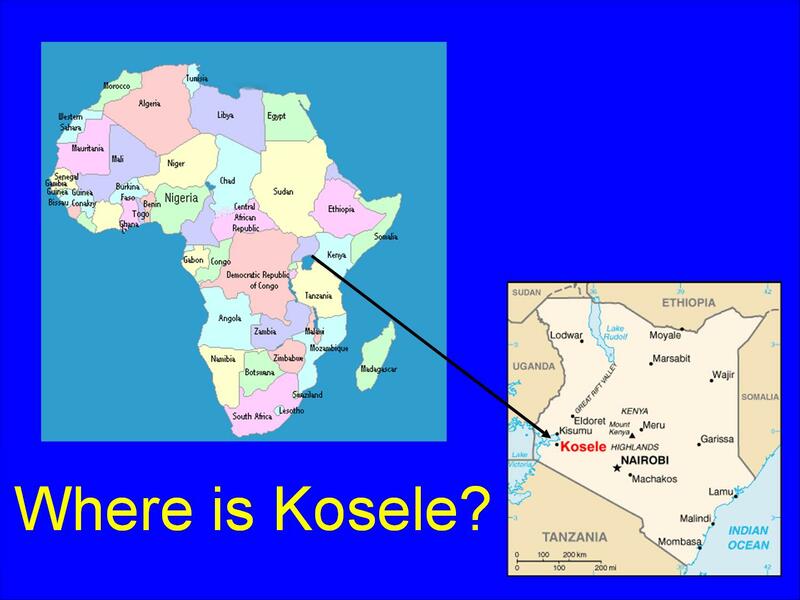 Kosele is in the western part of Kenya, about 7 kilometres from Lake Victoria. 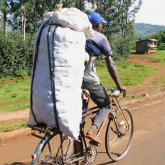 It is a rural community with an economy based on subsistence farming. 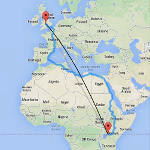 Kisumu, Kenya's third largest city, is just under two hours drive away. 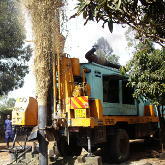 Visitors to Kosele usually fly from Nairobi, the capital city, to Kisumu before driving the last part of the journey. The final part of the journey to Kosele is along a very bumpy dirt road. Although it is marked as a tarmac road on maps the contractor thoughtfully spared the workers of actually laying the tarmac.